Open Access Week 2014 is here! International Open Access Week (October 20-26th is) is a global event in its eighth year which draws attention to the benefits of Open Access to research and seeks to make Open Access a new norm in scholarship and research. To borrow from Peter Suber, Director of the Harvard Office for Scholarly Communication , "Open-access (OA) literature is digital, online, free of charge, and free of most copyright and licensing restrictions. The Leddy Library along with our partners across campus have been an active participants in the open access movement for years. 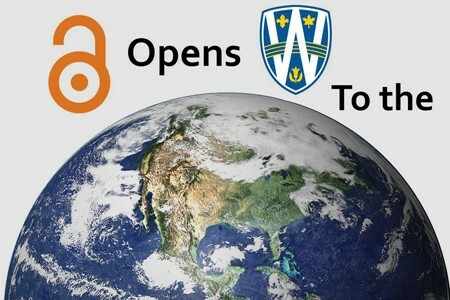 Our theme for Open Access Week 2014 is Open Access Opens Windsor to the World. We have sought to accomplish this in several ways. First, we support the publication of several Open Access Journals and Books on Campus including Informal Logic, Collected Essays on Teaching and Learning, and Windsor Studies in Argumentation. In the near future we will be welcoming the Windsor Yearbook of Access to Justice. These scholarly publications are accessible to anyone in the world online, without a pay-wall, helping to increase the impact of the work and ensuring anyone can benefit from it. Second, the Scholarlship at UWindsor repository is home to thousands of publications from various sources form faculty members and students at the University of Windsor. Scholarship at UWindsor is optimized for discovery in Google Scholar and so helps showcase Windsor scholars and their work to the world. This open-access week we also expect the announcement of a Canadian Tri-Agency Open Access Policy. 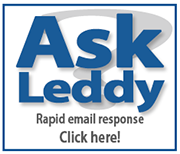 For more information on the policy you can visit our discussion page here. The Leddy Library and the Office of Research will be here to help Windsor researchers understand and meet the requirements of the policy. Feel free to visit all of our OJS journals, Scholarship at UWindsor, or our open access pages for more information. If you're running a journal, conference or have a publication you'd like to make available open access please contact Dave Johnston (djohnst@uwindsor.ca) and we can help you get started.